Medina Sidonia, also known as the balcony of the bay thanks to its orientation and its altitude of 300m above sea level, boasts stunning panoramical views over the Bay of Cádiz. 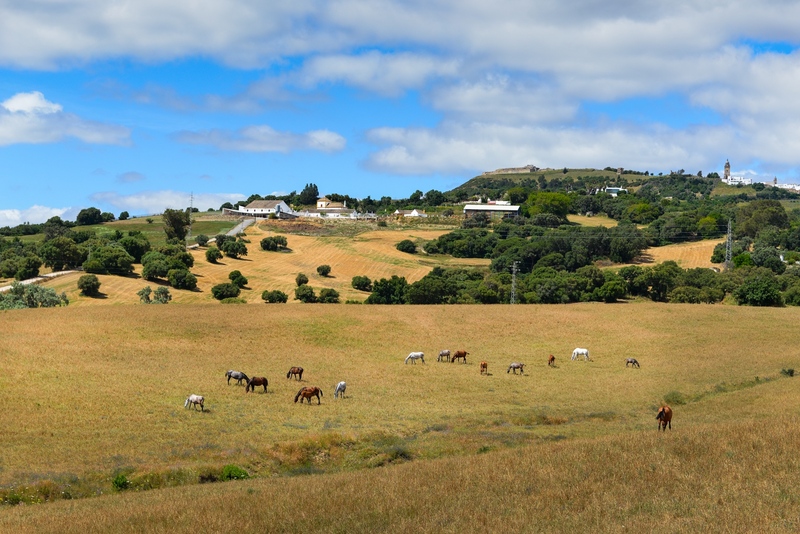 At only 30 minutes from the impressive Costa de la Luz and it’s sandy beaches, Medina Sidonia is surrounded by wonderful countryside for horseriders and walkers, and fantastic restaurants. So no wonder many have chosen this delightful area to own a country property. Take a walk through history, discover vestiges and traces that remain of the various civilizations. Medina Sidonia is well-known for its whitewashed streets and gorgeous balconies full of colourful flowerpots and has also received the prize for the Beautification of Andalusian Villages. Every year, the people of Medina Sidonia hold an open doors event, the Patio Route, otherwise known as “La Ruta de los Patios”. A walk through the winding streets to visit over 20 private properties, among others, neighbours houses, hotels and restaurants, manor houses… All following the traditional Andalusian style, restored respecting the smallest detail to preserve its originality and saturated with lush flowers and plants. 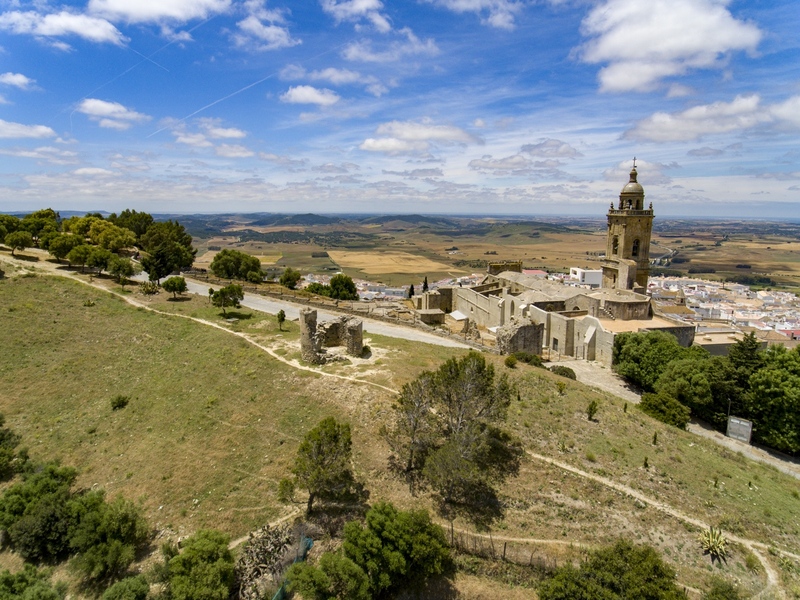 Medina Sidonia is a place from which to base and explore the many delights this area has to offer. Many walking routes can be found here through the spectacular countryside, one truly one for the country wanderers, the “Corredor Verde Dos Bahías”. 93 km that start in the Natural Park of Bahía de Cádiz, the Atlantic coast; passing through Benalup – Casas Viejas and Medina Sidonia; and ending on the Mediterranean coast, in the Natural Park of the Marismas of the Palmones River. For those who love to golf, at just 20 minutes away Benalup – Casas Viejas offers a top quality Golf & Spa Resort with 18 holes. The course has superb views of the lagoon of the Janda valley and the Alcornocales Natural Park, one of the most attractive forests of Europe. This is a place to enjoy the game whilst surrounded by nature, a true oasis! In addition, we have many golf-side properties here for sale in Benalup – Casas Viejas! Equestrian lovers are at awe with Medina Sidonia. A true horse lovers paradise, with gently sloping hills for many treks through the patchwork countryside and beaches. To own a country property here is a dream, whether it is a magnificent villa, a Cortijo or hacienda with huge equestrian estates and facilities or a reformed Andalusian fincas with hobby stables, the options are endless! Furthermore, at only a 30 minutes drive, lie the impressive white, sandy beaches of El Palmar, Zahora, Caños de Meca, and Zahara de los Atunes. For day trips, a visit to the Roman ruins of Baelo Claudia, Tarifa is something not to miss out on! Tarifa is also well known for its old town with cosy shops and bars and is the biggest hotspot for kitesurfing! For the foodies, Medina Sidonia is famous throughout the whole province, including Andalusia for its delicious desserts, artisanally prepared since Arab times. The Alfajor, also known as the Alajú, comes from the Arabic term “Al-Hasú”, meaning filling. It is a bundle of joy full of pure bee’s honey, almonds, hazelnuts and various spices. Delicious! In Medina Sidonia, restaurants worth mentioning Restaurante El Duque and Restaurante Bar Paco Ortega have exquisite dishes offering the best meats and fish specialities. In addition to the numerous tapas bar to enjoy the real Andalusian tapas, a must! In the surrounding towns such as Vejer de la Frontera, Restaurante El Jardín de Califa, offering a Morrocan vibe, with many areas such as the tetery terrace, relax whilst enjoying stunning views; the temple to wine and dine, and the garden to explore new flavours. A magical place, where flavours and sensations persist in time! With stunning coastlines, wonderful sunsets, spectacular mountains, Medina Sidonia is a wonderful place to own a country property. Having a base here, the possibilities are truly infinite… Imagine it, morning through the endless hills of the marvellous countryside, then lunch in one of the many chiringuitos with fresh fish on a stick, whilst looking across to the straits to Morocco and then a dip in the crystal clear waters the Costa de la Luz offers us!